McQ's Best Of...: McQ's Best Of 1977 Vol 10 - The Dumber They Come, The Harder They Ball! Big, dumb, obnoxiously loud, and as childishly raunchy as any rock genre has ever been, Heavy Metal was nonetheless at the top of its game in 1977, the single most popular genre in Europe and the US based on public opinion polls, all despite limited radio play and little to no respect from the critical community. Female bands, loving metal's jams and sounds, but wanting to see some of those sleazy fantasies written for teenage girls instead of teenage boys, started clawing their way into the game, though not without having to deal with more than their fair share of industry BS in the process. Out in the cornfields of Illinois, a high-energy, oddball bar band was positioning themselves to bring a renewed emphasis on pop-harmony and subversive lyrical wit back to the hard rock genre. And in Europe, a number of younger acts, enthralled with punk's pace and efficiency, ditched those Zep/Sabbath-preferred blues scales for classical ones, and began to make pure speed the name of the game, paving the way for the Thrash era soon to come. 1. 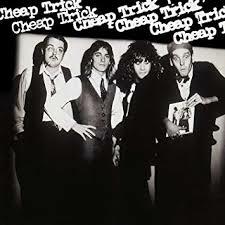 Hello There - Cheap Trick: We kick things off with the opening track from Cheap Trick's second 1977 release In Color (a play on the fact that their debut's album cover was shot in black and white), and though In Color was way slicker and poppier than their rough-hewn debut, both album's presented a band very hard to pigeon-hole, rocking with punk energy but way more accomplished musically, able to hit as hard as the era's best metal acts but displaying a talent for Beatlesque harmonies. Years later, the amalgamam would come to be referred to as Power Pop, but at the time there was nothing quite like it. 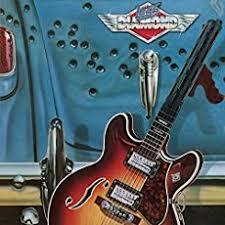 The band would need a few more years to find its audience outside of its native Rockford and Japan (where they were immediately accepted as rock 'n' roll gods), but as the tracks we'll be visiting from these albums show - their humor, swagger, and sophisticated, left-field songwriting chops were already very well honed. 2. 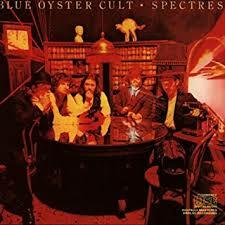 Godzilla - Blue Oyster Cult: Cudos to Warren Zevon's Werewolves Of London, Edgar Winter's Frankenstein, Slayer's Dead Skin Mask, The Monster Mash and many others, but as an unrepentant Godzilla freak in my formative years, this cut from Blue Oyster Cult's Spectres will always stand as my favorite movie monster song. 3. Let There Be Rock - AC/DC: Say this about AC/DC, the 14th best selling act of all time - they may be simplistic, they may hardly ever vary their sound, and they may never have had much to say, but damn if they aren't the most timeless metal act ever. Their stuff just doesn't age. 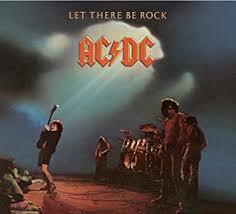 This song, the title track from their fourth full-length, '77's Let There Be Rock, is one of their very best. 4. I Stole Your Love - KISS: Kiss' sixth album Love Gun - released in the summer of '77 just days after a gallup poll had named them the most popular band in America over Aerosmith, Led Zeppelin, and The Eagles - would be the concluding chapter in their post-Alive! pre-Alive II (released in '77 as well) trilogy that also included Destroyer and Rock 'N' Roll Over. It would also be the last Kiss album that would feature Peter Criss on every song, as he left the band for the first time soon after. 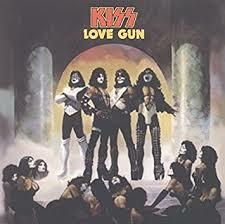 But even though Love Gun was the most democratically assembled album featuring the original lineup, with all four members contributing songs and lead vocals, it was a pair of Paul Stanley tracks - the title track and the Deep Purple-inspired I Stole Your Love featured here - that stole the show. 5. 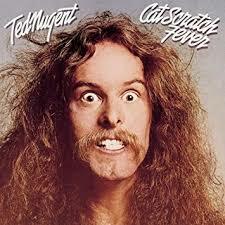 Cat Scratch Fever - Ted Nugent: Trust me. After revisiting over 150 albums from 1977 last year, I'm being kind when all I say about Cat Scratch Fever the album is that it has not aged particularly well. But there was no way I was leaving the Motor City Madman's most iconic song off this mix. 6. Lights Out - UFO: Considered by many UFO's best studio album, '77's Lights Out also saw the Phil Moog/Michael Schenker-led act expanding their previously lean instrumental formula, adding keyboardist/rhythm guitarist Paul Raymond and incorporating string arrangements for the first time. In addition to the scorchers Lights Out and Too Hot To Handle presented on this mix, the album also included an amusingly galvanized version of Love's Alone Again Or, and the epic, seven-minute power ballad Love To Love. 7. Bad Reputation - Thin Lizzy: Though originally relegated to secondary status as the B-side for lead single Dancing In The Moonlight (already profiled on our 1977 bar band mix), Bad Reputation's title track emerged over time as the album's most popular song, a track that caught on with punk and metal fans alike. 8. 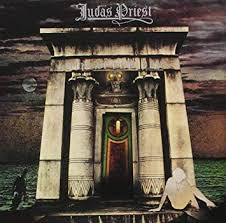 Sinner - Judas Priest: Judas Priest enjoyed several changes for the better with their third album Sin After Sin. First, after recording two albums for the miserly label Gull (who gave the band such little money for recording the band members often restricted themselves to one meal a day), Priest was now with a major label. Secondly, they committed fully to shedding the blues rock/arena rock underpinnings of their earlier work and dove into metal full on. And finally, at the urging of their producer, Deep Purple bassist Roger Glover, they recorded a cover of Joan Baez's Diamonds and Rust, which would become their first hit and open the door for extensive touring in the states. But despite the importance of Diamonds and Rust in the band's career, it's album opener Sinner we focus on here, which announced the band as one of the first metal acts to embrace speed as a guiding principal. 9. 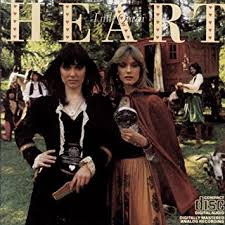 Barracuda - Heart: One of Heart's most popular songs from Little Queen, their first release for the Portrait Records label after walking out on original label Mushroom, it's easy to dismiss Barracuda as just another silly hard rock throwaway. But it is actually a searing attack on the male-dominated record industry of the day, written just hours after Nancy Wilson learned executives at Mushroom were leaking false rumors to the press that she and sister Ann were incestuous lovers to help spike album sales. 10. 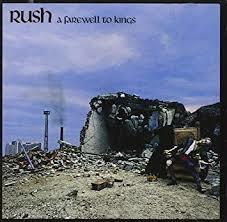 Closer To The Heart - Rush: They started their careers Greta Van Fleet-style as near Led Zeppelin clones, but by the release of their fifth studio album A Farewell To Kings, Rush's growing obsession with the prog acts of the day was taking over their musical direction, as is immediately apparent in Kings' cuts like the eleven-minute Xanadu and the elfin Closer To The Heart included here. 11. 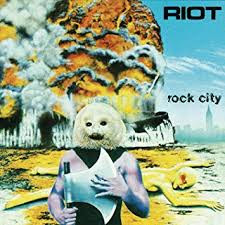 Warrior - Riot: Tough call choosing between this track and Tokyo Rose from the New York metal band's '77 debut Rock City, but Warrior just rocked a little harder to my ears. 12. Big Eyes - Cheap Trick: So I made the call early that I wouldn't include In Color's most well known song I Want You To Want Me, so I could save it for the superior Budokan version whenever Nancy and I dive into 1979. In its place, one of my favorite Cheap Trick deep cuts, the super goofy Big Eyes. 13. 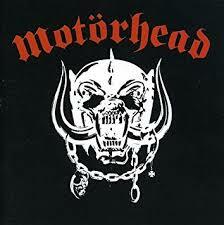 Iron Horse/Born To Lose - Motorhead: The iconic metal band that almost didn't happen. Following his forced exit from renown space rock outfit Hawkwind for doing, as he put it, "the wrong kind of drugs," bassist Lemmy Kilmister set out to create his own band, something the exact opposite of the spacy, jammy Hawkwind, something fast and balls-out loud like his beloved MC5. The result was Motorhead. 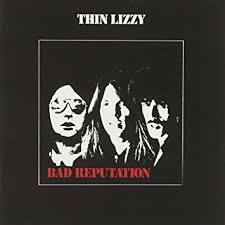 But the early days were lean for the band, and when guitarist Eddie Clarke and drummer Phil Taylor, tired of being broke, informed Lemmy they were quitting, he asked them to commit to one last farewell gig at London's Marquee Club before calling it a day. There, they caught the attention of a producer from Chiswick records, who offered them two days in a studio to cut a single, an opportunity they jumped on. But instead of just cutting the single, the got down early versions of every song on their debut. Upon listening to what they'd done, the label gave the band a couple more days to polish up the songs, and the rest is history for one of the most important and efficient metal bands of all-time. Had a tough time choosing between the title track and this song here to represent the band's self-titled debut, but in the end, their enduring association with the biker community suggested Iron Horse should win out. 14. Wasted - The Runaways: And then there were these teenage ladies out of New York, determined to break down the barriers in the most male-dominated of genres. 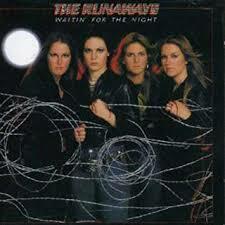 They released their second and third album's in 1977... Queens Of Noise, their last with Cherie Curie, is the better of the two, and then Waitin' For The Night after Curie left. Night isn't as strong, but it does have my favorite track from either album, which I've chosen to represent The Runaways here. 15. Rat Race - Legs Diamond: Timing was the enemy of Los Angeles, CA's Legs Diamond, whose style was a little too ahead of it's time in a Van Halen-ish way to quite catch the ear of metal's '77 adherents. As such they only released three albums in their first run before breaking up in 1980, but in retrospect those three records rank among the better and more adventurous metal albums of the era, including their 1977 two-fer of A Diamond Is A Hard Rock and their eponymous debut from which Rat Race, which might have the best ending of any song on this mix, is pulled. 16. Love Gun - KISS: Here's the title track from Love Gun, the first KISS track Paul Stanley wrote, arranged and produced entirely on his own. 17. 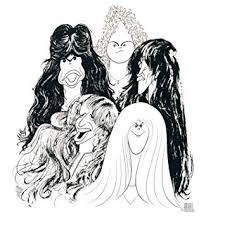 Draw The Line - Aerosmith: Draw the Line the album was far from Aerosmith's best mid-70s effort, but with tracks Milk Cow Blues, Kings And Queens, and the title track here, it continued to demonstrate that no other seventies metal act had more boogie swagger. 18. 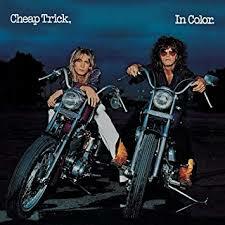 Hot Love - Cheap Trick: As mentioned before, Cheap Trick's self-titled debut was a much rougher sounding album than follow-up In Color, so instead of going with its best known tracks like the glammy ELO Kiddies or pure pop of Oh Candy, I went for one of its toughest rockers that best captures the feel of the debut as a whole. 19. 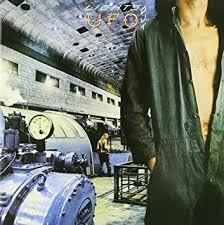 Too Hot To Handle - UFO: Here's another classic from Lights Out. 20. Whole Lotta Rosie - AC/DC: And finally, that other classic from Let There Be Rock celebrating Bon Scott's all-time favorite lover, a hefty Tasmanian groupie who had already notched twenty-eight other celebrity rockers in the same calendar month she and Scott had their tryst. Was there any doubt this is how this mix would end?